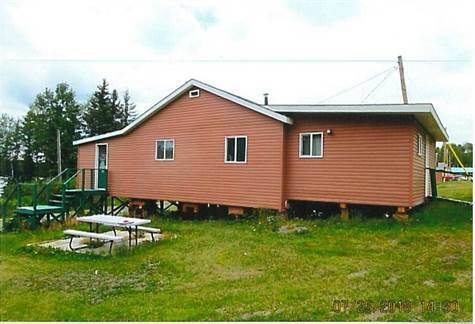 Location & Land: just 20 mins west of Ear Falls with road access to the resort. This 5.08 acre parcel is landscaped and slopes to the water with 590 feet of waterfront. Buildings: The six cabin units have been maintained with new screened porches and siding on each, housekeeping equipped and a residence but it is in need of some major repairs. The outbuildings include a generator shed, double garage, fish cleaning building, lakeside shop and a spotless laundry building. Improvements include a substantial septic system, water system, gravel roadway and two sets of docks with water ramp. The resort is fully equipped and opened for the 2018 season but closed due to an illness. It has a following and client list ready for 2019.